What do we know about the economics of FGM, or prospects for girls and young women with FGM in western countries? Probably not much. The REPLACE2 conference (London, 11 April ’14) took the theme ‘Prevention or Prosecution? 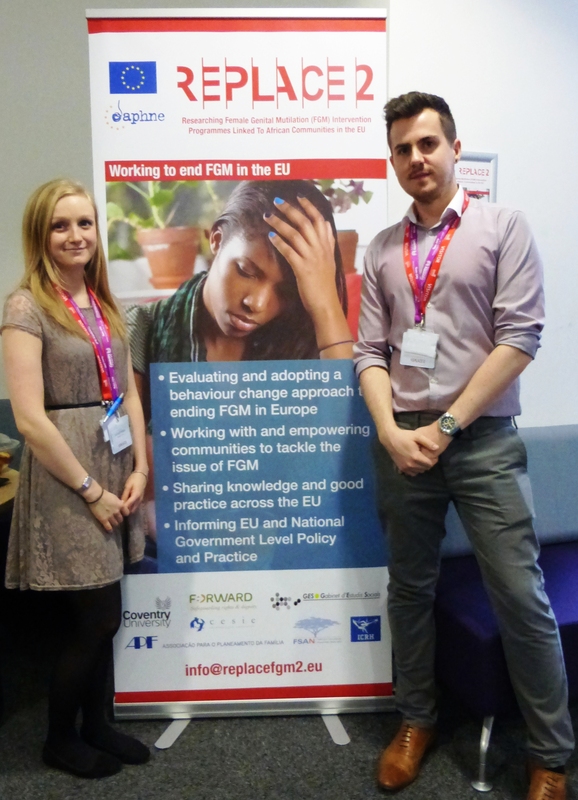 The behaviour change approach to tackling FGM in the EU‘. I offered a seminar, ‘The Real Economics of FGM’, presentation (and discussion) notes for which are below. My conclusion? FGM may disenfranchise some girls in western societies differently, and it weakens economies at all levels. Time to act. The discussions in and following my seminar (some material from which is incorporated into these notes) leads me to believe that a much greater emphasis is required on local, regional and (inter-)national economics, and also on how female genital mutilation (FGM) distorts the prospects of those who still undergo it, in western society as well as in traditional practicing contexts. The girls and young women FGM damages are the future of their communities; and their communities, if the ‘custom’ continues, are deeply disadvantaged by the personal, social and economic costs of this harmful traditional practice. There is an urgent need for those working against FGM to understand more fully and starkly the totally unnecessary squandering of resources, human and economic, which FGM incurs. FGM is a tragedy which demands courtesy always to those who have endured it (and care too where they need or would like that) – but it also demands hard-headed analysis of why it comes about. Thus far efforts to eradicate FGM have been at best partially successful. Alongside current developments, a new approach is required. More compassion, support and respect for survivors (and more respect too for victims, those who do not survive) is essential. But there is more than one sense in which FGM is not just about ‘culture’…. More honesty is essential about the nature of the fundamental socio-economic drivers which underlie this grim form of child abuse in the contemporary world. * FGM creates a gendered underclass, in some circumstances – but not all. By ‘underclass‘ is meant ‘a group of people with very little power, influence or money, and extremely limited prospects.’ Usually these people also have little in the way of social capital – the know-how and contacts to make their way independently in the world. By no means all girls and women who experience FGM are thus disadvantaged; but at present it is unclear what differentiates those who do, or do not, find themselves disenfranchised by the practice. We see generally those are able to overcome or cope with the experience. What happens to the others, girls and women who struggle to ‘survive’? How can their situation be improved and what would be the outcomes of preventing or better ameliorating the effects of FGM? In the former, FGM prevents alienation or estrangement; in the latter it produces an anomic situation akin to creation of a gendered underclass – a double disempowerment, in this case resulting from patriarchy. The cruel irony is that, whilst in modern societies FGM is in theory irrelevant to the normal status of women, the very act of inflicting it may result in the anomic status – ‘anomie’ – which in traditional societies FGM is intended to avoid. Do they or don’t they accede to FGM? Do they buy into the modern narratives about education and personal autonomy? Is marriage, especially early, forced or arranged marriage, inevitable? Could it be dangerous to resist? 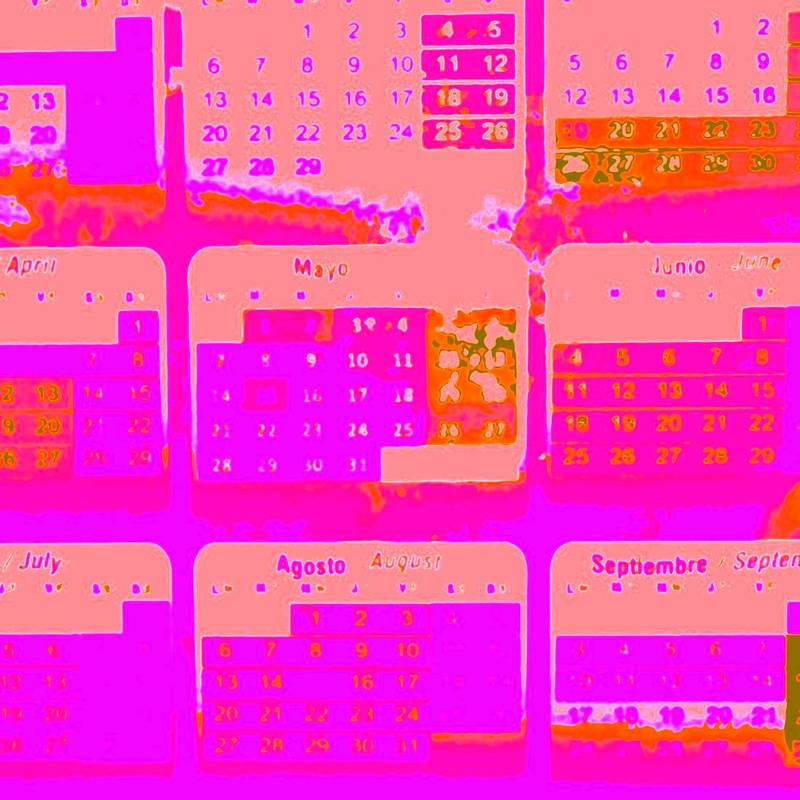 Will it be possible to withstand the conflicting pressures in such formative years, or is withdrawing into oneself an increasingly likely outcome? The major objective – to move away from individually damaging collective behaviours such as FGM, and towards greater personal autonomy – may be clear, but the social and other costs are not. * One compelling way to represent the active constraints placed upon those with least influence is to consider pathologies of power, a notion examined particularly by Paul Farmer, a professor of medical anthropology, in the context of structural violence (well explained in this link) – which he defines as any offence against human dignity. FGM qualifies very clearly as such offence and violence. * FGM is a ‘belief trap’ – Gerry Mackie, who introduced this concept as it pertains to FGM, defines a belief trap as a self-reinforcing belief which is potentially too costly to test. Social constructs of the group shape its economics as well as other behaviour. Cutters (excisors), the community’s leisure service providers, bush schools for initiating the girls, bride price (even refunds… fair price negotiations are ‘easier’ (?) if FGM has, allegedly, established virginity)…. all these cost money, paid for by local people. The takings from a whole harvest may be used to pay for a ceremony; but even then things can be complicated – it is said that now excisors may pretend to cut deeply and charge more for inflicting less physical harm. Alternative employment may be offered to excisors (often the grandes dames or matriarchs of their community) , but goat farming is not an entirely equivalent occupation. The mutilator’s role is steeped in history and mystique; the goat farmer’s role generally is not. The critical point is that these are not ‘moral’ or ‘social’ matters. They are to do with the fundamentals of the distribution of hard-gained resources in situations where scarcity is often in any case a pressing concern. It may be that the relatively low positive impact of alternative rites of passage is at least in part because the substitute activities do not adequately recognise these economic challenges. The human costs of FGM are enormous. It is estimated that around 130 million girls and women have undergone FGM, and it is thought to have a high direct mortality rate (10-30%?). Using a discounting model with early deaths ‘costing’ more, the authors of this WHO study conclude that relatively very modest investment in preventing FGM Types 2 and 3 could be offset by the savings to result from preventing obstetric complications. But there are also other significant ill-health costs, the avoidable impacts of AIDS and HIV amongst them. Obstetric fistula is also an important factor in the medical outcomes for those with FGM. Not ‘only’ does it cause horrific harm to those who have it, but it may also push them into exclusion and abject poverty. Psychological incapacity is likewise a critical factor. Some of those who experience FGM seem able to overcome or put aside the potential psychological impacts of the practice, but for others it is thought to lead, for instance, to post-traumatic stress disorder and to social withdrawal and possibly long-term psychological disorders. With all health damage from FGM also included, investment in prevention might actually show a positive return in direct economic terms as well as (most crucially of all) in human terms. FGM causes risks to infants. Some die during delivery or shortly afterwards, because of obstructed labour and similar difficulties. It is also thought generally the case, in developing countries, that if a mother dies the in the first year, the infant is twice as likely also to die – perhaps because there is no-one who can feed or will take full responsibility for caring for the child. Given a rough overall ratio of, say, ten times as much infant morbidity as mortality, there must be many hundreds of thousands of babies who suffer sub-optimal health because of their FGM-induced difficult deliveries. The World Health Organisation (WHO) has identified the medicalisation of FGM as one of the most substantive blocks to its eradication. Estimates vary, but in some countries such as Egypt most mutilation is now carried out, or at least supervised, by modern, trained clinicians. Hospitals in some countries may even offer ‘packages’ whereby maternal delivery, post-delivery care and infant FGM are all provided for a set fee. For clinicians, often on low incomes, it is perhaps easy to rationalise their medically informed procedures as preferable because the subject will then be ‘safer’ – and the fee received will be a useful supplement sometimes inadequate incomes. Criminal prosecutions of clinical alleged perpetrators have now been instigated in Australia, the UK, Egypt etc; but risk of clinicians being found out and punished remains low, so temptation to continue may remain. FGM may render members of the adult workforce poorly equipped to engage in modern economies. The abuse may result in their leaving formal education (if any) early, probably to have children before their bodies (let alone their social development) matured; and they may be in effect the servants, if not the slaves, of their husbands (and perhaps their older co-wives). Further, the constraints on autonomy which can arise from FGM and what happens thereafter can militate against maximum economic impact / output from many adult females who could otherwise contribute positively to their communities. Farming and / or land is one source of independence for women in traditional FGM practicing countries. But even here a failure of FGM status may be a serious impediment; eg Maasai men say that women – often farmers in their own right – who are without FGM cannot hold land, and it must revert to men (the Poro). This attempt at land seizure may in the modern context be challenged legally, but such re-appropriations lay bare the as-yet largely unexplored wider economic perils to which girls and women who resist FGM may be exposed. Both FGM itself, and its avoidance in certain contexts, will precipitate socio-economic situations from which it will be difficult, if not impossible, for survivors to escape. These difficulties have been examined by economic analysts as varied as The Economist (Slums and social mobility) and Richard Wilkinson and Kate Pickett, co-authors of The Spirit Level: Why More Equal Societies Almost Always Do Better, a study in part of the impacts of inequality on health. One difficulty in leaving poverty in slums or other disadvantaged communities, The Economist points out, is perennial illness. FGM exacerbates this difficulty. Further, we are told that those excluded from mainstream society, particularly if in ‘slums’, fare even worse than people who live in the country. Income may drop over the years as poverty becomes more grinding. . Prospects for all members of the remaining family may not be good in such circumstances. Ill health, physical and mental, is not only a personal disaster, but also a major economic hazard. FGM may amplify and add to this hazard. Medical care of those with FGM is costly – it may include restoration, fistula repair etc as well as the more obvious care required for obstetrics etc. And there are the costs, in virtually all countries to an extent, of social services, the police and law courts, FGM prevention campaigns, and the care of affected infants, children and other (sometimes elderly) dependents who women with FGM may be unable to support. There may also in the future be significant sums of money required for compensation to those who have been harmed by FGM. The financial burdens FGM imposes on individuals, families and public services in any context may be only part of the total costs. Those who have undergone forced marriage and other gendered human rights abuses associated with FGM may also require, and must receive, considerable support from their host communities. Already, we have seen that girls who are currently (now) at risk of FGM in western diaspora communities may also be at greater risk of thereby becoming part of a gendered underclass – a group (to whatever extent) lost to wider community because no-one hasstopped that happening. Girls subjected to FGM may be alienated because they may also then lose their education and their ‘prospects’ in the western sense of that term; and because of ‘culturally’ generated cognitive dissonance – a phenomenon already noted eg in some cases of girls whose (usually Asian?) family tradition is rooted in ‘honour’ and expectations of arranged marriage, and which may bring about psychological illness. In other words, girls who have FGM in western societies may in some instances face double jeopardy – it causes the outcome (anomie or alienation) it was in traditional societies intended to prevent; and it has huge potential consequences also for the new host society. All these factors have economic as well as human consequences; but we must note also that FGM tends to occur in the poorest areas of the diaspora. In the context of currently over-stretched local public services this adds another (unavoidable, once FGM has occurred) stressor to public budgets or private facilities already under strain. Prevention is in absolutely every way preferable to dealing with the likely costs, if FGM should occur. The ‘FGM industry’ – perpetrators and those who seek to stop them – has a growing and global reach. Conferences of anti-FGM activists and researchers are held, travel for site visits is frequent, surveys and other research have been conducted for decades, publications come out almost daily. The UK Government alone in 2013 committed around £35 million to global FGM eradication programmes. Much more is also required. But FGM is an artefactual phenomenon. Its opportunity costs may be high – as surely leaders everywhere know. Those whose skills and energies are directed at eradicating FGM might otherwise be working on the eradication of public health hazards less amenable to human reason and debate, such as infectious diseases or malnutrition, or perhaps on governance or development. Discussion of the Japanese economy is now starting to recognise that outdated systems and mores continue to emphasise women’s low status, at the expense of economic advantage. Likewise, economic analysis demonstrates the criticality of eradicating FGM as soon as we possibly can. It is time to acknowledge the enormous economic constraints and resulting socio-economic inequalities which FGM places on individual, local and national ambitions. To help improve women and children’s lives we must first perceive the nature of the challenges and harm which they encounter. FGM is also now big business, inevitably, for national and international organisations attempting to halt it, or to cope with the human and social costs of the mutilation. Perhaps a wider appreciation of the vast resources commanded by FGM and its consequences will help to make it history. … the opportunity costs arising from and tackling FGM are too large to ignore. It’s essential that proper attention is now paid to the economics of female genital mutilation.